As someone who prefers a bicycle to a car, and who mostly thinks that space exploration is just a pseudo-religious spectacle, I don’t have any real reason to defend Tesla, or SpaceX, or Elon Musk … but the claim that those entities exist because of government subsidization still irks me somewhat, because having looked into the subject, it’s not really true. Almost all of the supposed subsidization involved has occurred: only as part of broad programs available to essentially every company out there (the federal electric vehicle tax credit); relates only to foreign countries (Norway’s or China’s incentives for electric vehicle purchases); is just an example of the typical practice of states/cities to offer tax incentives to lure companies (Nevada’s support for Gigafactory 1, or New York’s for Gigafactory 2); was created on the state level as a way of lowering air pollution (California’s CARB credits); or was created as a means of lowering operating costs (NASA’s occasional development support for SpaceX). That noted, the reality also is that even without the existence of such programs, the companies in question could very well have remained viable simply by expanding more slowly than they have — the support programs are mostly a means of increasing the rate of development/growth. And from the perspective of the governments involved, the goals and subsequent results have been improved economic activity and lower pollution levels. Also very notable: the form of “subsidization” that most people are probably referring to (even if they don’t know it) — the federal electric vehicle (EV) tax credit — applies to the first 200,000 electric vehicles sold by a manufacturer, and thereafter phases out. In other words, after the sale of 200,000 units, it becomes a liability for the company in question — as other manufacturers that have sold fewer units to date will still be seeing their models discounted. Tesla is very nearly to the point of the federal tax credit no longer applying — while competitors such as Nissan and others have a fair while longer to go, to their benefit and at Tesla’s expense. I’d hardly call that a subsidy. 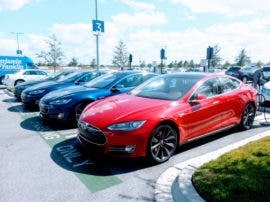 Other than the federal EV tax credit, the form of “subsidization” that most people are probably referring to — again, even if they don’t know the specifics — are the Advanced Technology Vehicles Manufacturing Loan Program loans that Tesla, Ford, Nissan, and Fisker were granted roughly a decade ago. Tesla, it should be realized, paid that loan off completely (+ interest) quite a while back — several years in advance of the payback deadline — which means that of all the auto manufacturers that utilized the program, Tesla was the first to pay off its loan completely. Other than that, the only thing worth mentioning is that owing to Tesla’s acquisition of SolarCity in 2016 the company now operates in the solar energy sector — and there are currently some income tax breaks available in the US to people and companies that purchase solar energy systems. It should be realized, though, that the solar incentives on offer are vastly eclipsed by the subsidies that the US fossil fuel industry receives — and also that the solar credits in question are due to expire before too long as well. And, again, the incentives are available to essentially every company operating in the solar energy sector as well as some other clean energy sectors, by no means just Tesla/SolarCity. Below I’m going to offer a quick overview of the subjects just discussed. The US federal government currently offers a tax credit of up to $7,500 (depending upon the battery capacity of the model in question) to buyers of plug-in electric vehicles. That’s a “credit,” it should be realized, which means that it’s simply used to eliminate part or all of a person’s federal tax liability (it only benefits users up to their tax liability, that is). The federal electric vehicle tax credit, of course, isn’t manufacturer specific — GM/Chevy, Nissan, Toyota, and others all benefit from it as well as Tesla. Perhaps more importantly, though, as noted above, the tax credit starts to phase out after the first 200,000 such vehicles are sold by a manufacturer. Thereafter, it phases out rapidly, leaving the firm at a great disadvantage as compared to the manufacturers that have sold fewer to date. 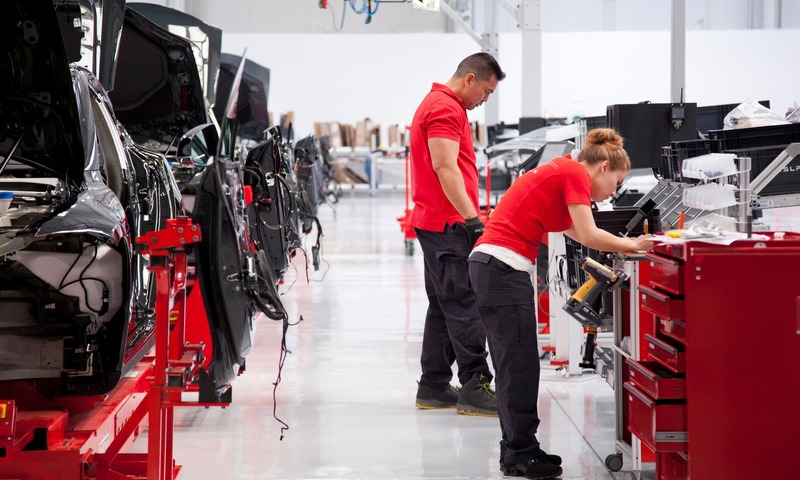 To claim that such a program benefits Tesla at the expense of other auto manufacturers isn’t accurate — especially since Tesla is very near to reaching the 200,000 deliveries mark. The California Air Resources Board (CARB) has a number of policies in place — with the intent of reducing local air pollution levels — that could be said to benefit Tesla. Such policies (ZEV credits sold to other manufacturers) only benefit Tesla, though, because some other auto manufacturers find it cheaper to purchase credits from Tesla than to reduce their own fleet-level emissions to the degree that California requires. California’s attempts to reduce its severe urban air pollution problems is perhaps “subsidization” in a way — but it’s also something that wouldn’t exist if more auto manufacturers were working to actually reduce their fleet level emissions. One can hardly blame the state for trying to deal with the problem by reducing transport sector emissions (one of the largest sources left now that the state has moved away from coal). Actually, air pollution is an “externality.” That is, it’s one significant cost of an industrial product that is not actually paid by any of the companies producing the product. The cost is put on society as a whole, or at least a specific, distributed portion of society. Since in a perfectly “free market” these costs should be paid by the producer, it’s widely considered that externalities are actually a form of subsidy. In other words, producers of polluting vehicles are being subsidized by the broader population/society. CARB’s policies are an attempt to fix that problem. 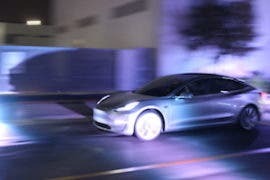 The states of Nevada, New York, and California have indeed all offered Tesla various forms of tax breaks and concessions in order to draw the company to develop operations (or expansions) in those states — a situation that is completely normal with regard to most modern business sectors. Essentially every company out there that is large enough to employ a substantial workforce or to generate significant economic activity can come to terms with various local and regional governmental bodies on incentives’ packages. Cities, counties, and states want more jobs, as well as more residents, and their often eager to find ways to incentivize companies to bring those jobs and residents to their jurisdictions. Something that a lot of those commenting on “subsidization” don’t seem to realize is that a substantial portion of Tesla’s sales and deliveries occur internationally. While incentives in foreign countries such as Norway, China, the Netherlands, etc. may well increase electric vehicle sales figures within those countries, Tesla gets essentially no additional support in those places (and even has a lot of extra hurdles to negotiate in China). If Tesla sees strong sales in such markets, it’s down to the fact that it’s offering a better product (arguably) than its competitors. It’s notable, for instance, that Tesla has been stealing market share in the premium car segments in Europe from the incumbents (Daimler, Audi, BMW) for quite some time now. While private sector investment is, of course, private sector investment, I’ve actually heard people reference the investment that Daimler made into Tesla back in 2009 (a ~10% stake for ~$50 million) as an example of Tesla’s subsidization. 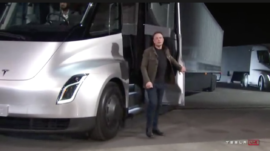 That investment likely did save the company at a low point, if CEO Elon Musk is to be believed, but there’s not really much to be said on the matter … as that was a private sector investment — not subsidization. It’s an investment, by the way, that Daimler seems to have netted a fair return on after cashing out in 2014. Similar things could be said about the investments by Tencent, Google, etc. — all private sector investments, not subsidies. As a means of lowering its operating costs, NASA embarked more than a decade ago on a plan that would see it rely more heavily upon private industry in some regards — with the idea being that private industry could do some things more cheaply. As part of that push, back in 2006, NASA awarded SpaceX a NASA Commercial Orbital Transportation Services (COTS) contract, relating to the demonstration of cargo delivery capacity and possibly crew transport as well. As part of that contract, SpaceX was provided with $278 million, which it partially used to develop the Falcon 9 rocket (which now makes regular cargo deliveries to the ISS). Following that, NASA awarded a number of contracts (totaling $1.6 billion) for cargo delivery and supplies to the ISS — at a rate lower than was previously available. In other words, NASA’s seed “investment” into SpaceX more than paid for itself. In addition, NASA awarded SpaceX a $75 million contract to further develop its crew transport capacity, which was followed by $440 million to support the development and testing of the Dragon 2 crew transport vehicle — via the Commercial Crew Development (CCDev) program and the Commercial Crew Integrated Capability (CCiCap) program. Following those awards, SpaceX and Boeing each won contracts to send crew to the ISS following a test flight. SpaceX’s contract reportedly totaled $2.6 billion. The Russia-launched rockets that NASA currently relies upon for crew delivery to the ISS are by no means cheap, it should be realized — SpaceX and Boeing stand to undercut them on pricing. As an ending note here, congressional testimony last year from SpaceX stated: “In 2011, NASA estimated that it would have cost the agency about $4 billion to develop a rocket like the Falcon 9 booster based upon NASA’s traditional contracting processes,” whereas SpaceX developed the Falcon 9 for $390 million. So, is Tesla subsidized? Somewhat, but to a far lesser degree than the fossil fuel industry, to a far lesser degree than its bailed-out auto manufacturer competitors (GM/Chevy; Fiat Chrysler; etc. ), to far lesser degree than those funding smear campaigns against it, and no more than pretty much any other large company out there right now. Perhaps more importantly, though, the company has proven a net positive to those who have supported it (California, Nevada, etc.). What about SpaceX? Sure, to a degree, but primarily as a means of reducing NASA’s operational costs relating to the ISS — a strategy that seems to be paying off. What about Elon Musk himself? Well, he seems to have made the vast majority of his initial money via PayPal. So, no, not really at all.